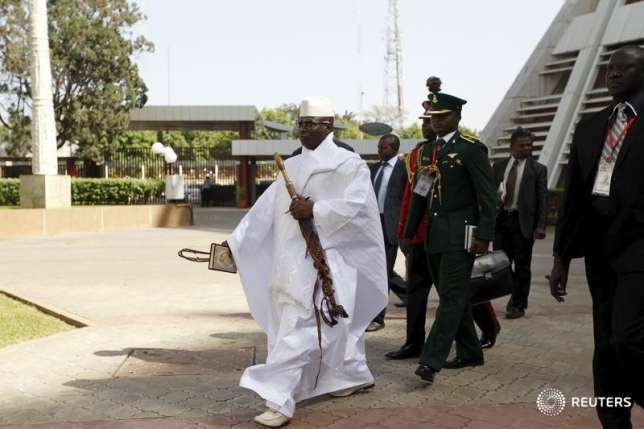 Nearly 40 people were charged in Gambia on Wednesday for arranging a small protest last week that called for free speech and electoral reform, the High Court in the capital Banjul said. At least 50 people were arrested after the demonstration on Thursday in the tiny West African country, according to the United Democratic Party (UDP), the country's main opposition party, in a crackdown that was condemned by the international community. Among those arrested were high-level members of the UDP including party leader Ousainu Darboe. Three people, including a high-level party official named Solo Sandeng, are feared dead, the opposition has said. Fifteen were released on Tuesday, but the rest remain in custody, UDP sources said on Wednesday. The High Court said on Wednesday it had charged 37 people, 18 of whom were accused on five counts: unlawful assembly, rioting, incitement of violence, interfering with vehicles and holding a procession without a permit. Sandeng's name did not appear on the court list. The cases have been adjourned until April 27 and lawyers for the defendants are expected to file for bail on Thursday. The Gambian government has not commented on the arrests. It has also not confirmed the release of any protesters or the reported deaths. Gambian police sources last week confirmed there had been some arrests but gave no number. The demonstrations were a rare act of defiance in Gambia and occurred while President Yahya Jammeh was in Turkey attending a summit of Islamic countries. Jammeh, who seized power in a 1994 coup, is regularly denounced by rights groups and foreign governments for ruthlessly stamping out political dissent in the nation of 2 million people.